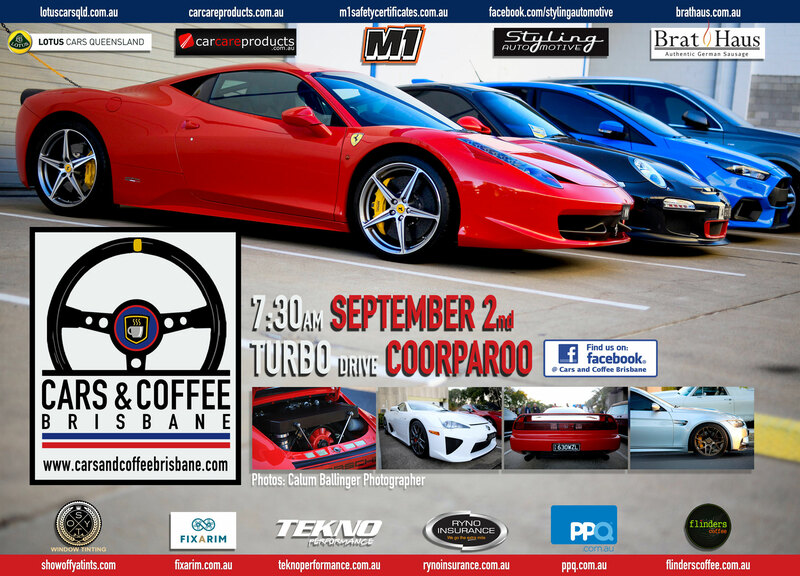 Cars & Coffee Brisbane is on again Saturday the 2nd of September. Please join us in your rare, classic, vintage, historic, exotic or race vehicles. We would like to thank our sponsors Styling Automotive, M1 Safety Certificates, Show off ya Tints, Ryno Insurance Services Pty Ltd, Car Care Products, TEKNO Performance, Flinders Coffee, Lotus Cars QLD, Fixarim Pty Ltd, The Bratmobile for their ongoing support. We would also like to welcome PPQ Personalised Plates Queensland from September. Glen here, hope all is well long time no see. My oldest son Kodey is wanting to know if you are holding a Cars and Coffee on the 1st Saturday of December this year? We are arranging and father son day and he found this event that he would love to attend. Yes the 2017 December C&C will be on the 2nd.